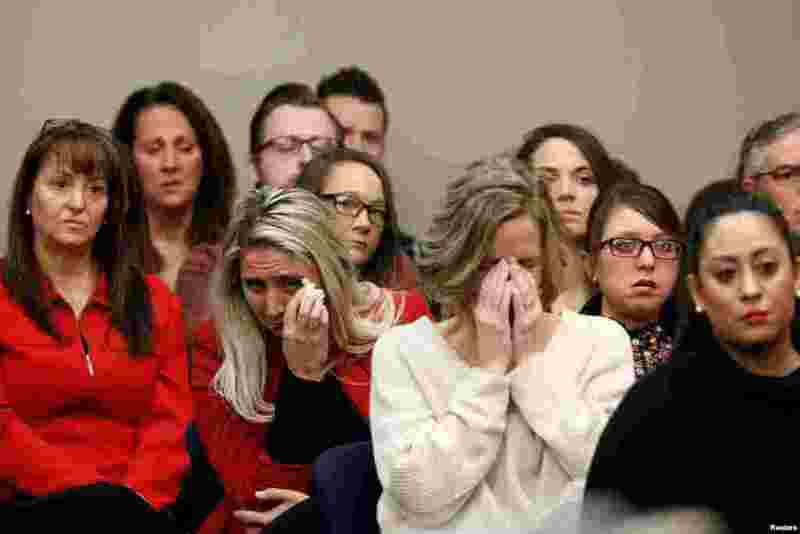 ٥ Victims and others look on as Rachael Denhollander speaks at the sentencing hearing for Larry Nassar, a former team USA Gymnastics doctor who pleaded guilty in Nov. 2017, to sexual assault charges, in Lansing, Michigan. 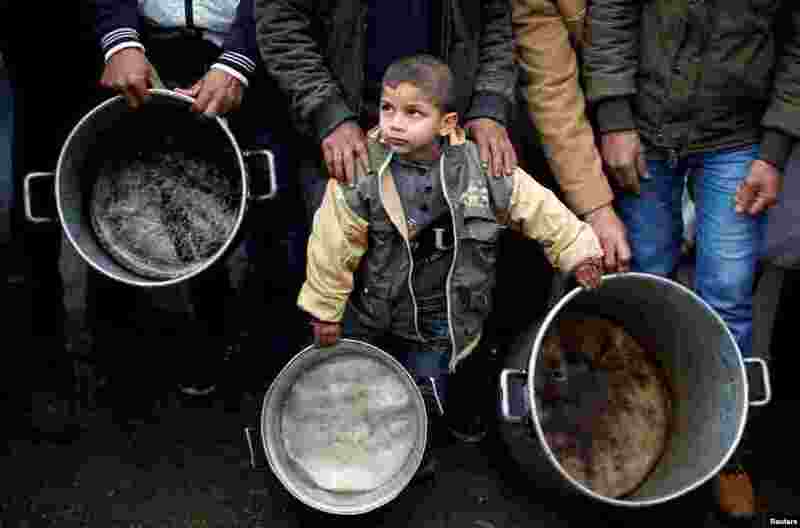 ٦ A Palestinian boy holds cooking pots during a protest against aid cuts, outside United Nations' offices in Gaza City. 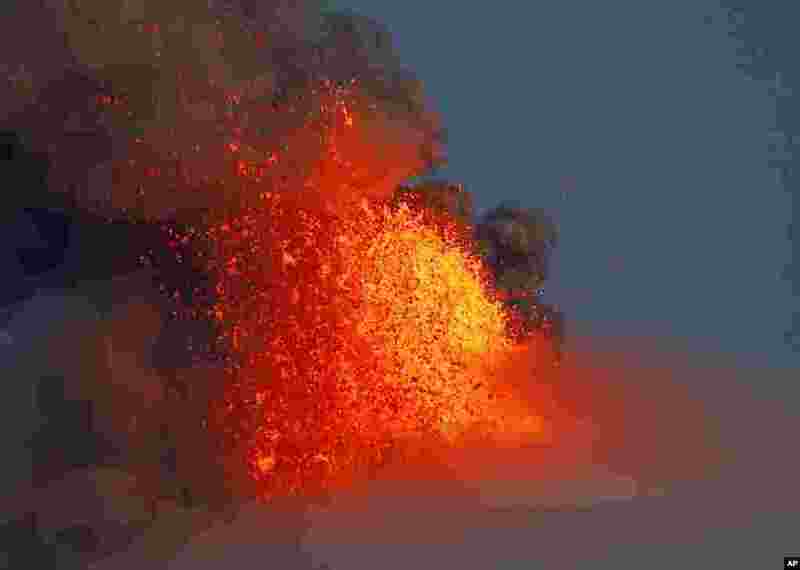 ٧ Mayon volcano spews red-hot lava in another eruption as seen from Legazpi city, Albay province, around 340 kilometers (200 miles) southeast of Manila, Philippines. 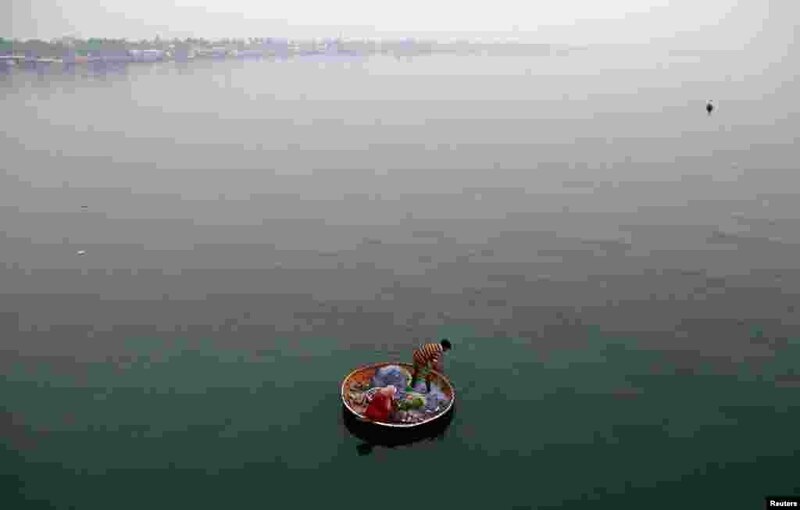 ٨ A fisherman and his wife catch fish in the waters of Vembanad Lake in Kochi, India.